The Fifth Dimension made their television debut today on "American Bandstand", where they lip-synched their big hit "Up, Up And Away". Guitarist Zal Yanovsky left The Lovin' Spoonful after their performance this evening at The Forest Hills Music Festival. The Monkees arrive in Paris, France, where some of their antics will be filmed for an upcoming episode of their TV series. 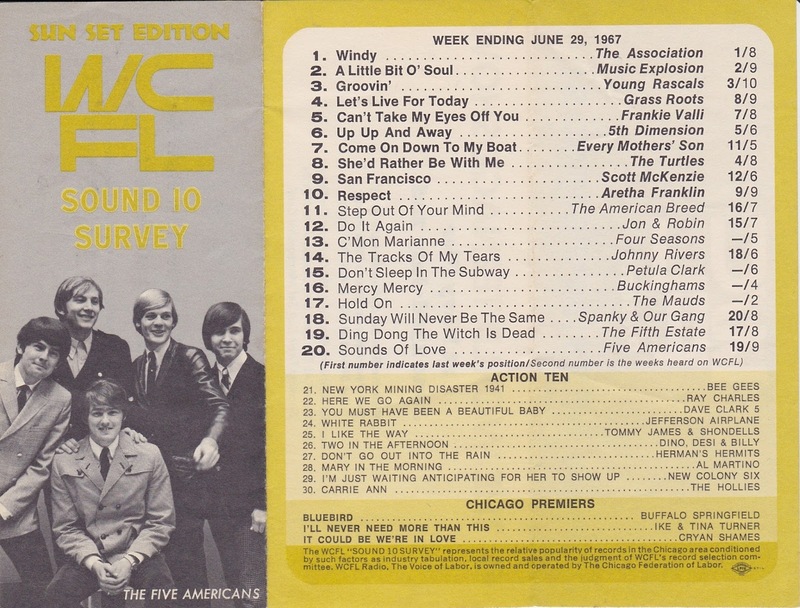 Here's a look at our Chicago Charts for this week in June, 1967. Note that The Cryan' Shames show up as one of WCFL's "Chicago Premiers" this week with their future #1 Local Hit "It Could Be We're In Love". That means The WCFL Sound 10 Survey features SIX local acts on the chart this week! 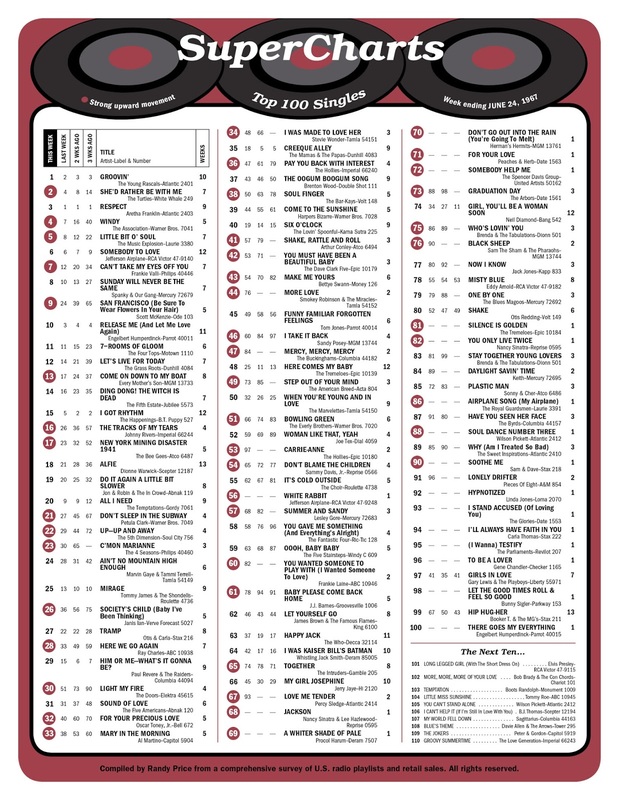 Big movers outside The Top 40 include "Shake Rattle And Roll" by Arthur Conley (#57 to #41), "You Must Have Been A Beautiful Baby" by The Dave Clark Five (#53 to #42), "Make Me Yours" by Bettye Swann (#54 to #43), "More Love" by Smokey Robinson and the Miracles (#76 to #44), "I Take It Back" by Sandy Posey (#60 to #46), "Mercy Mercy Mercy" by The Buckinghams (#84 to #47), "Step Out Of Your Mind" by The American Breed (#73 to #49), giving Chicago groups THREE Hits in The National Top 50 this week when you include Spanky and Our Gang's #8 hit "Sunday Will Never Be The Same", "Bowling Green" by The Everly Brothers (#66 to #51), Carrie Anne by The Hollies (#97 to #53 ... wow! That's a jump of 44 places! ), "Don't Blame The Children" by Sammy Davis, Jr. (#65 to #54), "Summer And Sandy" by Lesley Gore (#68 to #57), "You Wanted Someone To Play WIth" by Frankie Laine (#82 to #60), "Baby Please Come Back" by J.J. Barnes (#78 to #61), "Love Me Tender" by Percy Sledge (#93 to #67), "Graduation Day" by The Arbors (#89 to #73), "Who's Lovin' You" by Brenda and the Tabulations (#86 to #75) and "Black Sheep" by Sam the Sham and the Pharaohs (#90 to #76). Speaking of Arthur Conley, he received a gold record for his big hit "Sweet Soul Music" today, which reached #2 on the pop charts earlier this year. In a way, it's rather surprising … as the song is virtually a note-for-note knock-off of Sam Cooke's "Yeah Man". Conley shared writing credit on his reworking, however … the song's official songwriters include Sam Cooke, Otis Redding and Arthur Conley! Aretha Franklin, The Queen Of Soul, records "Chain Of Fools". 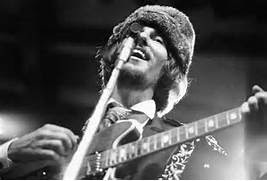 That opening guitar break was done by singer / songwriter Joe South, who would go on to have his own chart hit a year later with "Games People Play". The Beatles fine tune the rhythm track of "All You Need Is Love" in preparation of their worldwide performance and live recording coming up on the 25th. 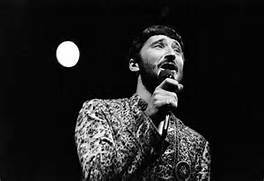 Who bassist John Entwistle marries his first wife, childhood sweetheart Alison Wise. The Young Rascals record another '60's classic, "How Can I Be Sure," in New York City today. It's rerun season on television … but the Lesley Gore / Pussycat / Catwoman / Batman episodes play again this evening on ABC. 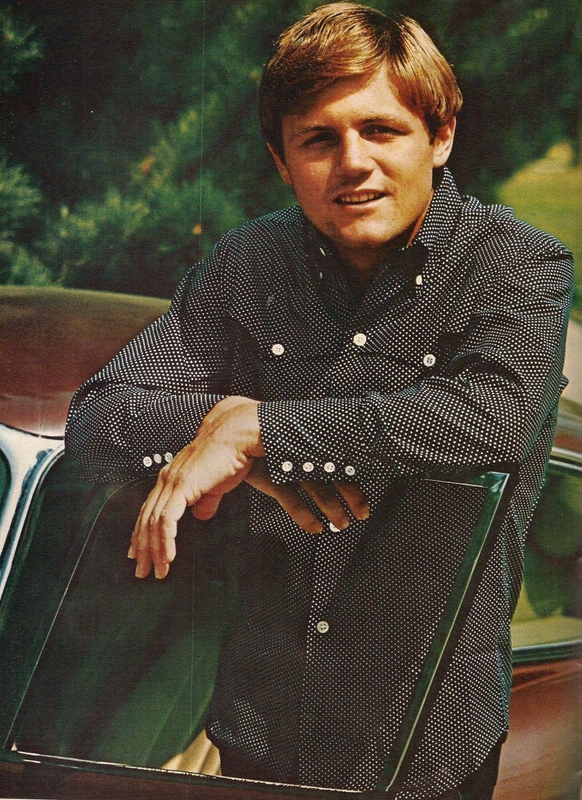 Bruce Johnston of The Beach Boys plays host to British Magazine New Music Express writer Keith Altham by taking him on a tour of California. Stops include Disneyland, where they do The Jungle Cruise, visit "It's A Small World" and embark on the brand new Pirates of the Caribbean ride. Later that night they visit the very popular club,, "Daisy's," where they run into Barbra Streisand and Bobby Darin. (Obviously a VERY elite club clientele!) Bruce tells Altham about an earlier trip he made there when, at 2 am, they started playing a Frank Sinatra record. Johnston looked around the club and saw, sitting there at a table all on his own, Ol' Blue Eyes himself. Bruce explained "When your favorite LP of all time is 'Only The Lonely', you don't waste an opportunity to talk to a man like that. I went over and introduced myself. 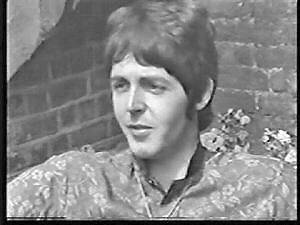 He spent fifteen minutes talking to me about The Beach Boys' records and I could not get a word in to ask him about his." Jefferson Airplane have the highest debut of the week with another one of my all-time favorites, "White Rabbit", which premiers at #56. (Their first chart hit, "Somebody To Love", is still in The Top Ten, holding at #6. "Jackson", a duet by Nancy Sinatra and her producer Lee Hazlewood, debuts at #68 and a forever classic, "A Whiter Shade Of Pale" by Procol Harum premiers right behind it at #69. Herman's Hermits have a new record on the charts as "Don't Go Out Into The Rain" debuts at #70, followed by "For Your Love" by Peaches and Herb (#71) and "Somebody Help Me" by The Spencer Davis Group, a great little forgotten ditty that premiers at #72. "Silence Is Golden" by The Tremeloes, a remake of a Four Seasons B-Side, debuts at #81 (honestly, I think it blows the original away, one of those rare times where the remake is better than the original) … and Nancy Sinatra has her second debut of the week as the flipside of her "Jackson" duet premiers at #82. 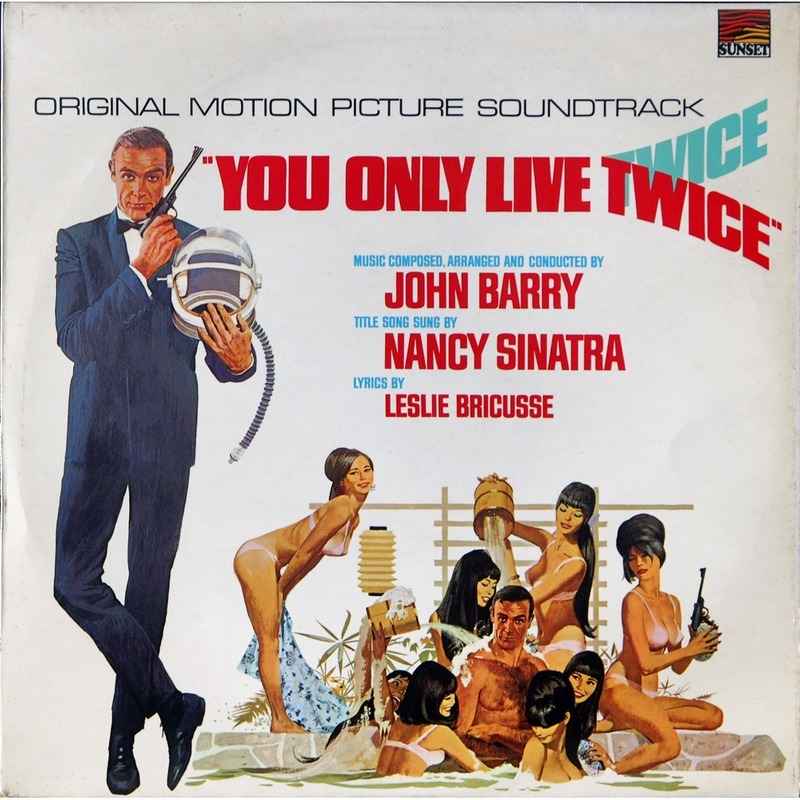 (It's the title theme to the new James Bond film "You Only Live Twice). The Royal Guardsmen are back with a non-Snoopy song as "Airplane Song" premiers at #86. Engelbert Humperdinck (still hanging on with a spot in The Top Ten with "Release Me") brings up the rear with his follow-up single, "There Goes My Everything", which comes in at the #100 spot on this week's chart. 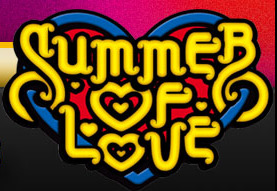 It's officially the First Day Of Summer … or, in THIS case, The First Day of The Summer Of Love! To help celebrate, The Grateful Dead, Big Brother and the Holding Company and Quicksilver Messenger Service put on a free concert in San Francisco's Golden Gate Park. Dionne Warwick performs "Alfie" on "The Steve Allen Show". The Monkees re-record an entirely new arrangement of "She Hangs Out" for their new LP. (You may recall that a much more R&B version was issued as the B-Side of the Canadian single "A Little Bit Me, A Little Bit You" earlier this year.) This new version is pure and simple infectious pop … and certainly one of the best tracks they ever recorded. After being found guilty of draft evasion (after a jury deliberated for 21 minutes!) Muhammad Ali is sentenced to five years imprisonment in a Houston courtroom for refusing induction into the military service. He is banned from boxing for three years and fined $10,000, but is allowed free on bail, never actually serving any time of his jail sentence. Also in the studio today (at MGM in Culver City) is Elvis Presley, recording songs for the soundtrack to his new film "Speedway". Sessions run from 7:00 pm until 4:00 am the following morning. 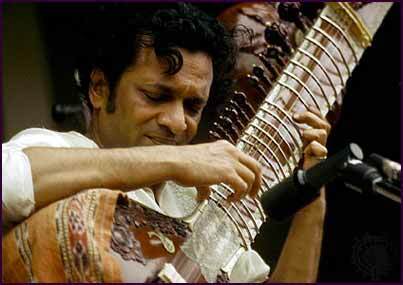 He will complete these recordings the following day. 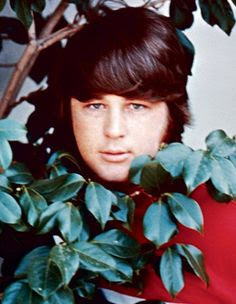 Brian Wilson of The Beach Boys celebrates his 25th birthday. 400 journalists attend a press conference in London today promoting The Monkees' upcoming concerts there. For the third time this year, a record returns to the #1 spot as "Groovin'" by The Young Rascals displaces Aretha Franklin's hit "Respect" to reclaim the throne four weeks after they last vacated it. Franklin slips to #3 and The Turtles sneak into the #2 position with "She'd Rather Be With Me", up two places from the week before. "Windy" by The Association continues its climb from #7 to #4 and "Little Bit O' Soul by The Music Explosion climbs from #8 to #5 … any one of these last three tracks has enough momentum to become the next #1 Hit in America. Also making large strides this week are "Can't Take My Eyes Off You" by Frankie Valli (up to #7 from #12), "San Francisco" by Scott McKenzie (climbing from #24 to #9), "Come On Down To My Boat" by Every Mother's Son (#17 to #13), "The Tracks Of My Tears" by Johnny Rivers (#26 to #16), "New York Mining Disaster, 1941" by The Bee Gees (#23 to #17), "Don't Sleep In The Subway" by Petula Clark (#27 to #21), "Up, Up And Away" by The Fifth Dimension (#29 to #22), "C'mon Marianne" by The Four Seasons (#30 to #23), "Society's Child" by Janis Ian (#36 to #26), "Light My Fire" by The Doors (#51 to #30), "For Your Precious Love" by Oscar Toney, Jr. (#40 to #32), "I Was Made To Love Her" by Stevie Wonder (#48 to #34), "Pay You Back With Interest" by The Hollies (#47 to #36), and "Soul Finger" by The Bar-Kays (#50 to #38). Herb Alpert's reign at the top of the Albums Chart lasted all of a week … because THIS week The Monkees are back on top with their third #1 album in a row, "Headquarters". 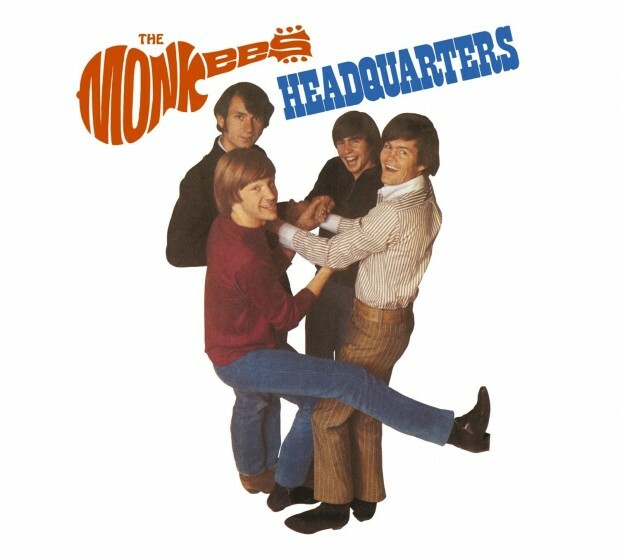 For the first time The Monkees are in complete control on this LP, performing most of the instruments themselves, having full say in the final song selection and even helping out with some of the production duties. The celebration would be short-lived, however … next week a brand new album by The Beatles will take over the top spot on the chart … and remain there for the next fifteen weeks! Elvis reports to MGM Studios to begin work on his next film "Speedway". 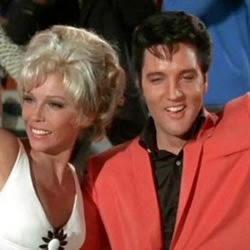 He presents a brand new car to his costar Nancy Sinatra that has the word "Speedway" painted on one door and "Starring Nancy and Elvis" on the other. In a move I've never totally understood, while The Turtles were already on the chart with "She'd Rather Be With Me", a HUGE late-Spring / early-Summer Hit, White Whale (their record company) released the title track to the new Walter Matthau / Robert Morse film, "A Guide For The Married Man" as a single. But I LOVED it! I had just seen the movie and as soon as I heard the track, I ran out to the store to buy a copy. (I was probably one of a select few to do so!) It was as "Turtles-sounding" as a record could be and, perhaps had they waited a little while longer to release it ... it was only two catalog numbers apart from their current hit single ... it might have had a chance to do something on the charts. Now I will admit to having a MAJOR crush on Ms. Stevens at the time, being already familiar with her work on both "The Twilight Zone" and "The Farmer's Daughter". The movie featured a who's who of cheating consultants ... everyone from Lucille Ball to Sid Caesar to Carl Reiner to Joey Bishop to Jack Benny to Wally Cox to Jayne Mansfield, Art Carney, Phil Silvers and more. Anyway, it's a GREAT scene ... and a GREAT track ... otherwise overlooked by most ... so we'll run it as a Forgotten Hits extra today! Chicago's very own Spanky and Our Gang are on hand to help Ed Sullivan celebrate his 20th Anniversary on "The Ed Sullivan Show". 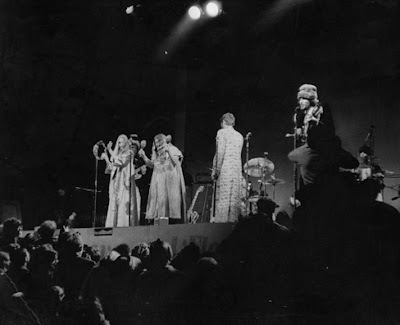 They perform their first big hit, "Sunday Will Never Be The Same". 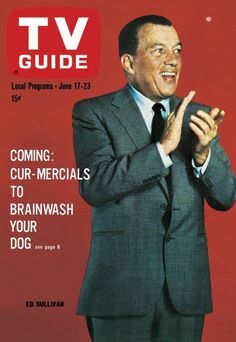 TV Guide offers a five-page tribute to the success of Ed's program, calling it "the most successful program in TV history." They go on to say: "Like it (and, week in and week out, 30 million Americans do) or lump it (and most critics do from time to time), 'The Ed Sullivan Show' is as much a part of American's Sunday nights as cold mashed potatoes and leftover roast." TV Guide reports that Sullivan once asked Elvis Presley's manager, Colonel Tom Parker, how much Elvis would want for a return engagement. 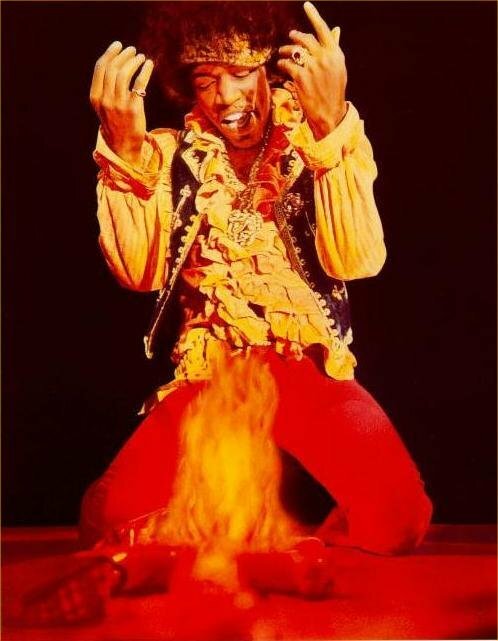 When Parker came up with a couple of do's and don't's Sullivan would have to follow if he wanted Presley, Ed snarled "Give Elvis my best … and my sympathy" … and slammed down the phone. At the time an appearance on The Sullivan Show guaranteed HUGE record sales the following week … the show could turn careers around literally overnight. There 's a brand new James Bond movie out in theaters called "You Only Live Twice". It's #1 at the box office this week. Nancy Sinatra sings the title track for this one. Don Wilson of The Houston Astros pitches a no hitter against the Atlanta Braves at The Houston Astrodome, the first ever no hitter pitched in either a domed stadium or on artificial turf. 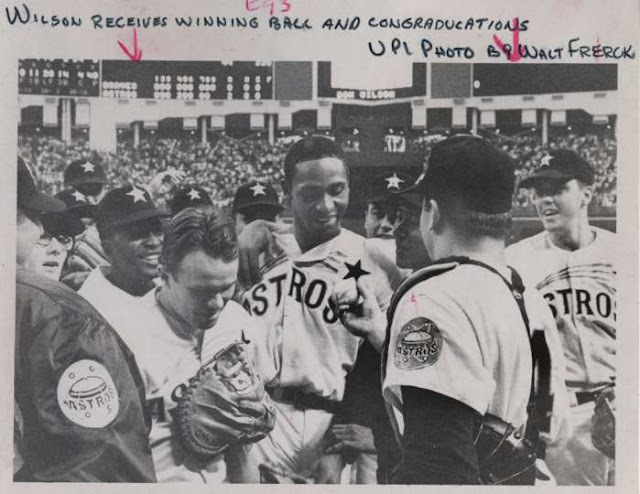 Wilson strikes out fifteen Braves that night, including Hank Aaron for the final out.